When someone perceives rapidly approaching danger, a common response is for that person to raise his or her hands in front of the face or over the head. This isn’t just a socially learned behavior - evolution has taught us to protect this part of our body first. After all, not only does our face control most our senses, but a functioning brain is vital to our survival. When head injury occurs, it threatens both our physical and mental well-being and, in serious cases, poses a risk of death. Brain injury can occur in many forms and result in a variety of symptoms, but every instance can have serious consequences on a person’s way of life. 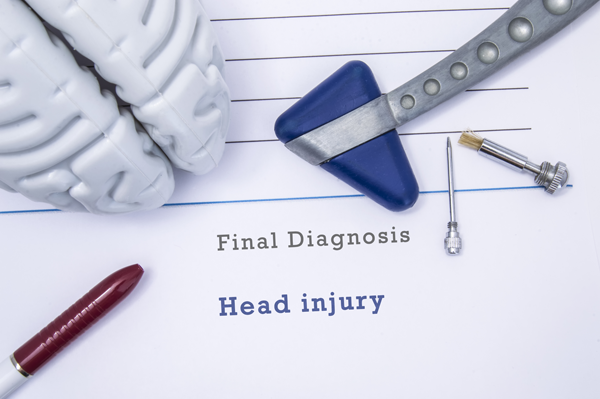 By understanding the different types of head injuries, their causes, and their possible effects, hopefully you will be able to seek proper treatment in the event you suffer head trauma. Moreover, if your injury is the result of someone else’s negligence, be sure to contact our White Plains legal office for information on how you can receive compensation. In most cases, these effects occur immediately after the concussion, but some injuries may also lead to delayed, ongoing symptoms such as memory problems, concentration problems, difficulty sleeping, disturbances in mood, and interference with any of the senses. Severe concussions may even result in nerve damage that takes months or years to fully heal, and in rare cases, potentially fatal blood clots may form within the brain. Any sort of injury to the head can very likely result in a concussion, from hitting one’s head in a fall to being struck by an object. In car accidents, victims may hit their heads on a windshield or dashboard, or suffer internal damage from whiplash. Contusions: Commonly called bruises, contusions occur when the brain is damaged by colliding with the skull bone. Effects are often similar to those of a concussion, but in some cases, the fluid must be surgically removed. Hematomas: A hematoma, or blood clot, results from injury when blood leaks and collects between the brain and the skull. Severe brain hematomas can result in seizures, paralysis, and strokes. Immediate surgery or anticoagulants may be needed to treat a blood clot in the brain. Diffuse axonal injury: When the head is violently shaken or rotated, such as in a car accident, tissues may tear or rupture within the brain. This may result in temporary or permanent brain damage, a coma, or even death. Lacerations: If the brain collides against the inside of the skull quickly, the skull bone may tear open soft tissues or blood vessels within the brain. This injury may go initially unnoticed, but as blood and pressure build within the skull, the patient will gradually lose consciousness and control over the body. Treatment must be administered quickly in order to prevent the brain from fatal asphyxiation. Open brain injury: If a particularly sharp or forceful object collides with the brain, it may fracture the skull and damage the brain directly. Among the host of symptoms typically associated with severe head injuries, the patient may suffer from permanent disabilities that are associated with the injured area of the brain. If you experience any type of head injury, it is important that you seek medical attention immediately. Even when no effects are yet present, the long-term consequences of brain damage can be greatly alleviated by timely and appropriate treatment. Likewise, if your injury is the result of another person’s negligence, he or she should be held responsible for any resultant financial responsibilities. This includes medical bills, medications, lost wages, therapy sessions, and any ongoing services necessary for rehabilitation. Even if you have adequate health insurance, you should not have to worry about paying for an accident that has already threatened your welfare. Consequently, our personal injury attorneys can help you receive the full compensation you deserve. Mr. Barrese and his team of expert attorneys are ready to represent you. Call us for more information or to schedule an initial meeting to discuss your injury.